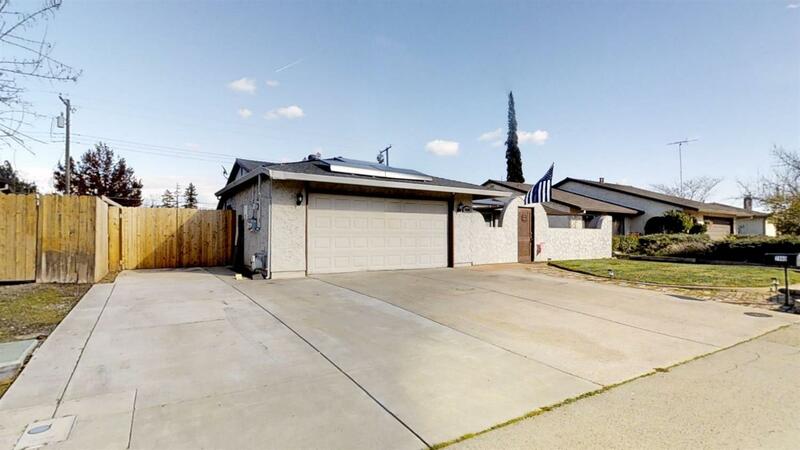 Beautifully updated 4 bedroom 2 bath home with RV access. Private courtyard in front with gas fireplace and a large sitting area. Completely remodeled kitchen with cabinet pull outs and soft close drawers. New laminate flooring and carpet throughout. Backyard set up to entertain with gazebo and lights that will stay. Sheds including the 8X10 Tuff Shed also stay. Solar leased and can either stay or move with the seller.